3229 Commercial Real Estate and Properties in Brisbane are listed in 9 categories. We have 2100 Offices for Sale & Lease , 1803 Industrial Warehouses for Sale & Lease , 1359 Retail Shops for Sale & Lease , 331 Medical and Consulting Properties for Sale & Lease , 331 Development Lands for Sale & Lease and 297 Other Commercial Properties for Sale & Lease . This premises has 600m2 of premium office space well positioned with unrivalled main road exposure. Excellent on site parking able to accommodate up to 24 cars. Brand new refurbishment and fit out suitable to all businesses. 600m2 premium open plan office Excellent on site car parking Huge main road exposure Air conditioning throughout Excellent access For more information or to arrange an inspection please contact Richardson Wrench Commercial Brisbane North. This character office is brilliantly positioned along Sandgate Road with excellent exposure. The premises has two exclusive car parks with ample street parking directly outside. Comprised of a reception area, board room, office suite and amenities this tenancy will suit all users. 200m2 of office space well positioned kitchen and break room male and female amenities excellent car parking good exposure to Sandgate Road For more information or to arrange an inspection please contact Richardson Wrench Commercial Brisbane North. Cheap Parking | Spacious Office | Ideal Working Environment $1553pw | 15 Person Works..
PROPERTY OVERVIEW $1553pw Price incl. Ultra modern A grade office space for rent in Brisbane Technology Park, the largest and most prestigious business park in Queensland. This turnkey office space presents an outstanding working environment for SMBs with CAT 6 network cabling, a high end fit out and immediate availability on flexible terms. The furnished office has an open plan desk layout for 10 15 people, a lockable manager’s office, reception area, meeting room, collaboration areas and kitchen, all beautifully appointed and maintained to a faultless standard. Offering more than 170 sqm in top quality office accommodation, this private workspace is ideal for a company of up to 15 people, or a smaller one that needs room to grow. With everything set up, furnished and covered in the advertised rate, a new tenant can move in with minimal disruption to work and easy monthly billing. If you are a small/medium sized company seeking an office space in a prestigious location, Brisbane Technology Park is an incomparable choice. This premier office complex is part of the sought after Brisbane Technology Park at Eight Mile Plains. Spread over 33 hectares, the Park was originally a Government initiative to foster the growth of knowledge based industries and is now home to more than 200 companies that employ in excess of 10,000 people. The first choice of location for businesses of all sizes and industries, Brisbane Technology Park features 45 high grade office buildings, BTP Conference Centre, Quest Hotel and a variety of casual eateries and business support services. Within this 5.5 NABERS Rated building are end of trip facilities, bicycle storage, disabled access and onsite management while paid car parking options are available in close vicinity. This office space is only a short drive to Westfield Garden City and 15 minutes’ drive to Brisbane CBD, offering excellent convenience and one of the best corporate addresses in Queensland. The advertised office space is perfect for a team of 15. If you need more or less space, we have over 30,000 furnished workspaces all over the world suitable for a team of 1 to 200+. Our award winning team offer a free service that will help you find the perfect solution for your needs, so reach out if you need more help. What you get for your weekly rent , 24/7 Access , 24/7 Security , Access to internal breakout areas , Access to kitchen facilities , Building outgoings included , Electricity usage included , One simple bill for everything related to your workspace , Plug and play furnished workspace , Private lockable office , Secure high speed Internet Building features , Abundance of natural light , Air conditioning , Bicycle storage , Car parking in building (Paid) , Car parking Street (Free) , Company branding in foyer , Contemporary fit out , Daycare only minutes away , Disabled access and facilities , End of trip facilities e.g showers, bike racks , Gym and fitness centre close by , New fit out , Onsite Cafe / Restaurant Located in Brisbane Technology Park 220m to bus stop to Brisbane CBD 3.2km to Westfield Garden City 15.9km to Brisbane CBD Who is Office Hub? Office Hub is the world\'s No.1 marketplace for office space. We have a huge global selection of coworking spaces, serviced offices and shared office spaces with flexible options to suit teams from 1 200 people. We\'ll take you on a tour of all the workspaces that fit your needs and work on your behalf to get the best price possible. We\'ll help you discover how shared office space can be the most beneficial and budget friendly solution for your business. www.office hub.com Conditions apply – the advertised price includes any incentives offered based on a 12 month agreement and is available to new tenants only. Please note that the rental rate may increase for a shorter rental period. A portion of the square meterage factors in access to shared space. 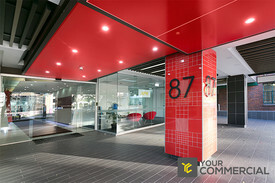 Collaborative Space | Malls Nearby | Regular Cleaning $200pw | 4 Person Workspa..
PROPERTY OVERVIEW $200pw Price incl. Affordable private office space in Cleveland, sized for up to four people with amazing natural light. This private lockable room sits within the regional office of a national company in bathroom construction and repairs and furniture can be provided if needed. Tenants will have access to a shared kitchenette with all the essential appliances and enjoy a relaxed professional atmosphere while you work. Enjoy 24/7 secured access and air conditioning as part of the deal. Flexible terms from 1 month and the affordable pricing of this office space make it a fantastic choice for any small business, particularly those for whom privacy, security and natural light is important. This boutique office space is located in the centre of Cleveland, close to amenities, free car parking and public transport links. It sits within Cleveland House, a strip of retail premises and offices, which offers a professional working environment and small business community. The workspace is just opposite Cleveland Town Square, meaning there’s plenty of good coffee spots, casual cafes and small shops as well as abundant local street parking and train and bus links in the area. The advertised office space is perfect for a team of 4. If you need more or less space, we have over 30,000 furnished workspaces all over the world suitable for a team of 1 to 200+. Our award winning team offer a free service that will help you find the perfect solution for your needs, so reach out if you need more help. What you get for your weekly rent , 24/7 Access , Access to kitchen facilities , Building outgoings included , Collaborative space with a great community feel , Electricity usage included , Private lockable office Building features , Abundance of natural light , Air conditioning , Car parking Street / Public Car Park (Paid) , Car parking Street (Free) , Daycare only minutes away , Dedicated men and ladies bathrooms , Direct access to buses , Direct access to public transport , Direct access to train station , Professional working environment , Taxi / Uber stand close to building , Unfurnished office space 500m to Cleveland train station and bus stops Steps to Coles, Woolworths, cafes, restaurants, library & banks Central position in Cleveland CBD Short walk to Raby Bay restaurant precinct Who is Office Hub? Office Hub is the world\'s No.1 marketplace for office space. We have a huge global selection of coworking spaces, serviced offices and shared office spaces with flexible options to suit teams from 1 200 people. We\'ll take you on a tour of all the workspaces that fit your needs and work on your behalf to get the best price possible. We\'ll help you discover how shared office space can be the most beneficial and budget friendly solution for your business. www.office hub.com Conditions apply – the advertised price includes any incentives offered based on a 12 month agreement and is available to new tenants only. Please note that the rental rate may increase for a shorter rental period. A portion of the square meterage factors in access to shared space. Abundance Of Natural Light | Ideal Working Environment | Close To Public Transport $1036pw | 13 Person Works..
PROPERTY OVERVIEW $1036pw Price incl. Modern serviced office with inspiring work environment located in Eight Mile Plains. Price incl. Internet, Electricity & Kitchen facilities Private offices Affordable parking 24/7 access Fully furnished Convenient location Access to on site amenities Available NOW for long or short term lease This modern workspace is conveniently located only 15 minutes away from the Brisbane CBD. With ample car parking and easy access to the Pacific Motorway and Gateway Motorway, it is in a advantageous position for businesses located in the Brisbane, Gold Coast corridor. The advertised office space is perfect for a team of 13. If you need more or less space, we have over 30,000 furnished workspaces all over the world suitable for a team of 1 to 200+. Our award winning team offer a free service that will help you find the perfect solution for your needs, so reach out if you need more help. What you get for your weekly rent Fully furnished office with desks, chairs & storage Unlimited fast internet connection Outgoings and Utilities included Electricity usage Complimentary use of meeting rooms Use of modern kitchen facilities Weekly cleaning Flexible terms 24 x 7 access Office Features Air Conditioning Modern fit out Professional environment Dedicated property manager Reception services (if required) Building Features Covered and uncovered car parking available, starting from $100 per month Lift access Landscaped shared spaces Modern commercial building Quality finishes and amenities Bike racks 100m to Miles Platting Road Bus Stop 50m to various cafes 12 minute drive to Brisbane CBD 2km to Shopping Precinct 300m to Motorways WHO IS OFFICE HUB? Office Hub is Australia & New Zealands No 1 small office space commercial real estate agency. We have the largest collection of shared spaces, coworking and serviced offices in Australia & New Zealand, perfect for 1 200 employees. Let us take you on a tour of all the spaces that fit your needs and budget. Our service is complimentary and we work for you and the landlord to negotiate the most competitive deal in the market. Let us show you how shared and serviced offices can be the perfect solution for your business. www.office hub.com.au www.office hub.co.nz Conditions apply A portion of the square meterage factors in access to shared space. Price includes any incentives offered. This is for new tenants only. Collaborative Space | Ideal Workspace | Close To Public Transport $230pw | 8 Person Workspa..
Abundance Of Natural Light | Prime Location | Cool Space $1553pw | 15 Person Works..
PROPERTY OVERVIEW $1553pw Price incl. Sophisticated shared workspace in burgeoning Newstead. Price includes: Internet, Electricity, Building Outgoings, Kitchen Flexi terms Regular Cleaning Spacious fit out Professional environment Fast growing Brisbane location Avail NOW for short or long term rent This modern, spacious workspace is located in Brisbane’s most sought after city fringe business district. Large windows fill the workspace with natural light and provides views of the Brisbane CBD and the Story Bridge. The building is situated next to popular Waterloo Pub and has several cafes and restaurants at ground level. The advertised office space is perfect for a team of 15. If you need more or less space, we have over 30,000 furnished workspaces all over the world suitable for a team of 1 to 200+. Our award winning team offer a free service that will help you find the perfect solution for your needs, so reach out if you need more help. What you get for your weekly rent: Dedicated desks, chairs and storage Unlimited commercial grade internet service Boardroom & meeting room usage Photocopying facilities All included electricity usage Use of the kitchen facilities Flexible terms from 1 month 2 years Regular cleaning Building & Office features Showers Bike racks Cafe on site Modern high rise Air Conditioning Dedicated Mens and Ladies Bathroom 5 minutes to the CBD 250m to Ann St Bus Stop 900m to Teneriffe CityCat Terminal 15 minutes to Brisbane Airport via Kingsford Smith Drive Walking distance to popular local cafes, restaurants & hotels WHO IS OFFICE HUB? Office Hub is Australia & New Zealand\'s No 1 small office space commercial real estate agency. We have the largest collection of shared spaces, coworking and serviced offices in Australia & New Zealand, perfect for 1 100 employees. Let us take you on a tour of all the spaces that fit your needs and budget. Our service is complimentary and we work for you and the landlord to negotiate the most competitive deal in the market. Let us show you how shared and serviced offices can be the perfect solution for your business. www.office hub.com.au www.office hub.co.nz Conditions apply A portion of the square meterage factors in access to shared space. Price includes any incentives offered. This is for new tenants only. Prime Location | Cutting Edge Office Space | A Grade Building $570pw | 6 Person Workspa..
PROPERTY OVERVIEW $570pw Price incl. Professional serviced office located in the Golden Triangle. Price incl. Internet, Telephone, Electricity & Kitchen Flexi terms Regular cleaning 24/7 access "A" grade building Ideal Brisbane CBD Location Prestigious address Avail NOW for short or long terms!! Located in the Riverside Precinct right near Eagle Street Pier on the edge of Brisbane's "Golden Triangle", the Waterfront Centre at 1 Eagle Street is only a short walking distance to some of Brisbane's top restaurants. This building is situated next door to the prestigious Stamford Plaza and Polo Clubs, a short stroll to the Botanical Gardens and within close vicinity to the Convention Centre at South Bank. A 500 space car park is provided, in addition to a free family car park to support working parents. The advertised office space is perfect for a team of 6. If you need more or less space, we have over 30,000 furnished workspaces all over the world suitable for a team of 1 to 200+. Our award winning team offer a free service that will help you find the perfect solution for your needs, so reach out if you need more help. What you get for your weekly rent Furnished office with desks, chairs and lock up storage units Electricity usage included Use of the kitchen facilities with premium coffee/tea provided Prestigious business address Flexible terms from 1 month to long term Ability to bring your existing phone number over Complimentary receptionist to meet and greet your clients Business lounge with complimentary break out areas 24 x 7 access to your office 24 x 7 security Office features Immaculate fit out with brand new end of trip facilities Large boardroom and meeting rooms Professional environment Server / Comms rooms available for server storage Building features Highly recognised building Modern high rise classified as an Premium grade building High speed lifts Car parking in building and surrounding areas Dedicated on site management team 50m to bus stop 250m to Central Train Station 150m to Eagle Street Ferry Peir Who is Office Hub? Office Hub is the world\'s No.1 marketplace for office space. We have a huge global selection of coworking spaces, serviced offices and shared office spaces with flexible options to suit teams from 1 200 people. We\'ll take you on a tour of all the workspaces that fit your needs and work on your behalf to get the best price possible. We\'ll help you discover how shared office space can be the most beneficial and budget friendly solution for your business. www.office hub.com Conditions apply – the advertised price includes any incentives offered based on a 12 month agreement and is available to new tenants only. Please note that the rental rate may increase for a shorter rental period. A portion of the square meterage factors in access to shared space. $570pw | 6 Person Workspa.. Premium Fit Out | Close To Public Transport | Professional Space $1611pw | 14 Person Works..
PROPERTY OVERVIEW $1611pw Price incl. Stylish coworking space in Brisbane CBD offering facilities and community for the digital age. Whatever your working style, you’ll get more value for money at this incredible coworking centre – it has a media studio with podcasting and photography equipment, an inhouse barista cafe, a rooftop event space, an exercise studio, relaxation spaces and serviced meeting rooms. Collaborate, create and connect better than ever, whether you’re at a coworking desk or in a private serviced office, as a full programme of business networking events help organic relationships flourish. This feel good office has all inclusive memberships to make budgeting easier for busy entrepreneurs – the rate covers your high speed internet, utilities, office signage, a mailable address, hosted welcome desk and 12 hours of free meeting room use per month. You can feel the unmistakable buzz of communal coworking in the air – home to a diverse group of corporates and creatives, you’ll be able to opt in and out of social occasions as you like. Produce great work, meet more like minded people and enjoy unparalleled coworking facilities, all at an amazing price? It’s a no brainer! Book an inspection today with Office Hub tours available daily and questions are welcome. There are also large and customisable workspaces at this coworking centre so drop us an enquiry and we’ll help you find the perfect space. This Brisbane CBD coworking hub is located in the Anzac Square Building, an award winning heritage construction on Adelaide Street. The notable building has a rich history it took nearly 30 years to design and build and it’s just as prestigious in the present day with its full city block site, memorial square and offices for the Commonwealth Government. The seven storey masonry and steel structure impresses with its beautiful facade, light filled interiors, showers with towel service, lockers and bicycle racks while it conveniently provides direct access to Central Station. This enviable location is right in the pulse of the city with Brisbane’s wide selection of retail therapy, watering holes and excellent cuisine within easy reach. The advertised office space is perfect for a team of 14. If you need more or less space, we have over 30,000 furnished workspaces all over the world suitable for a team of 1 to 200+. Our award winning team offer a free service that will help you find the perfect solution for your needs, so reach out if you need more help. What you get for your weekly rent , 24/7 Access , 24/7 Security , Access to kitchen facilities , Access to secure printer and scanner , Building outgoings included , Electricity usage included , Flexible lease terms from 1 month , Plug and play furnished workspace Building features , Abundance of natural light , Air conditioning , Architecturally awarded building , Boutique low rise buidling , Creative space , Dedicated men and ladies bathrooms , End of trip facilities e.g showers, bike racks , Industrial / Warehouse style fitout , Open plan layout Direct access to Central Station Above the Anzac Square retail precinct 100m to Queens Plaza Shopping Centre Close to bust stops on Ann Street & Adelaide Street 270m to King Edward Park Who is Office Hub? Office Hub is the world\'s No.1 marketplace for office space. We have a huge global selection of coworking spaces, serviced offices and shared office spaces with flexible options to suit teams from 1 200 people. We\'ll take you on a tour of all the workspaces that fit your needs and work on your behalf to get the best price possible. We\'ll help you discover how shared office space can be the most beneficial and budget friendly solution for your business. www.office hub.com Conditions apply – the advertised price includes any incentives offered based on a 12 month agreement and is available to new tenants only. Please note that the rental rate may increase for a shorter rental period. A portion of the square meterage factors in access to shared space. This is a absolute must have in terms of position, the property is located in the centre of the busy Stones Corner shopping precinct and offers excellent exposure and branding opportunities. 187m2 of quality space 6 on site car parks Highly exposed corner location Suit retail / showroom / office Logan Road signage Blank canvas for your business! Currently fitted out with reception, meeting rooms, open plan work space and partitioned offices the property may be taken as is or restored to its original configuration. Please call Nina Brailey from McGees property for further information. $1629pw | 12 Person Works..
PROPERTY OVERVIEW $1629pw Price incl. Flexible office space for rent in Brisbane’s prime financial district. This impressive workspace comes from one of the world’s top serviced office operators, delivering a new standard of workplace technology, connectivity and facilities to enhance your working day. Blending a classic corporate fit out with a modern layout to enhance collaboration, it has private offices, coworking desks and virtual offices for rent and the ability to accommodate teams of up to 50 people. The IT in this workspace is undoubtedly one of its most attractive features as it has fibre based Tier 1 internet, 99.99% broadband uptime, low cost international calls on a VOIP network, Cisco Voice and global number portability. The customer service also sets it apart, with extensively trained professionals on hand to take care of reception and admin tasks as well as catering and meeting requests. If you’re interested in this leading Brisbane CBD serviced office, come and meet the team, test the technology and try out the facilities – a quick tour will show you why this office provider is one of the best in the world. This elegant and exclusive serviced office in Brisbane is in one of Australia’s truly iconic buildings. The office tower is known as The Gold Tower for its extraordinary colour and at 135m tall it can be seen from most parts of the city – upon completion in 1977 it was Brisbane’s tallest building. The standout features are the instantly recognisable gold colour, floor plate shaped like the map of Australia and environmentally friendly measures including T5 lighting and sensor lighting which have seen it achieve a 4.5 star NABERS energy rating and 4.0 star NABERS water rating. In house amenities include change rooms, shower, secure bike storage, dry cleaning services, onsite concierge and security. This serviced office offers beautiful views of the Brisbane River, Story Bridge and Moreton Bay and it’s close to the GPO and Eagle Street Pier's restaurant precinct. The advertised office space is perfect for a team of 12. If you need more or less space, we have over 30,000 furnished workspaces all over the world suitable for a team of 1 to 200+. Our award winning team offer a free service that will help you find the perfect solution for your needs, so reach out if you need more help. What you get for your weekly rent Furnished office with desks, chairs and lock up storage units Commercial grade internet service Telephone line and personalised phone answering Use of kitchen facilities with premium coffee/tea service Electricity usage included Complimentary receptionist to meet and greet your clients Prestigious business address Flexible terms from 1 month to long term Ability to bring your existing phone number over Business lounge with complimentary break out areas 24 x 7 Access to your office 24 x 7 security Office features Immaculate fit out and facilities Full mail management and postage Large boardroom and meeting rooms Signage board in foyer to highlight your business name Professional environment Server / Comms rooms available for server storage Building features Modern high rise classified as an "A" grade building 24 x 7 access to your office High speed lifts Car parking in building and surrounding areas Dedicated on site management team The advertised price includes building outgoings and is based on one person occupying the workspace. If you have 2 or more people extra fees will apply to cover off services like telephone, internet and kitchen amenities. 10m to Eagle & Charlotte Street bus stops 91m to Eagle Street Pier Ferry Terminal 650m to Central Station 600m to Queens Plaza 210m to Fitness First Who is Office Hub? Office Hub is the world\'s No.1 marketplace for office space. We have a huge global selection of coworking spaces, serviced offices and shared office spaces with flexible options to suit teams from 1 200 people. We\'ll take you on a tour of all the workspaces that fit your needs and work on your behalf to get the best price possible. We\'ll help you discover how shared office space can be the most beneficial and budget friendly solution for your business. www.office hub.com Conditions apply – the advertised price includes any incentives offered based on a 12 month agreement and is available to new tenants only. Please note that the rental rate may increase for a shorter rental period. A portion of the square meterage factors in access to shared space. 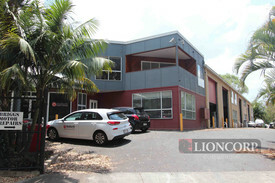 500m2 warehouse 247m2 quality office space Approx. 6.1m internal height 2 roller doors 3 phase power connection ready Container set down area Ample onsite & street parking Flood free location Acacia Ridge is less than 12 radial kilometres south of the Brisbane CBD. This location is the thriving heart of the south side’s industrial precinct and offers easy access to all the major arterials. With consistently low vacancies and tightly held properties, Acacia Ridge continues to be on the top of the list when considering a move. Large Glazed display front and side 6m wide glazed panel 3 phase power Good thermal & acoustic insulation, polished concrete floor Optional Mezzanine floor to creative “additional” area Tiled disabled WC and kitchenette 5m high roller shutter door Quality brand new Licensed Café / Restaurant within the development. Good on site and road car parking Only minutes to Yeerongpilly railway station and local bus service Yeerongpilly is a suburb of Brisbane, Australia. It is eight km south of the Brisbane central business district. 360m2 warehouse & 58m2 office space 1 roller door Kitchenette & amenties Flood free location 3 phase power connection ready Ample onsite & street parking Acacia Ridge is less than 12 radial kilometres south of the Brisbane CBD. This location is the thriving heart of the south side’s industrial precinct and offers easy access to all the major arterials. With consistently low vacancies and tightly held properties, Acacia Ridge continues to be on the top of the list when considering a move. Within a development of 9 “HIGH SPEC” architecturally designed approx. 215m2 Large Glazed display front 3 phase power Good Thermal & Acoustic Insulation Optional Mezzanine floor to creative “additional” area Opening windows to mezz level Tiled disabled WC and kitchenette 5m high roller shutter door Good on site and road car parking. Yeerongpilly is a suburb of Brisbane, Australia. It is eight km south of the Brisbane central business district. Approx. 91m2 professional office/medical suites Open plan with a office, meeting room and tea room Tenancy includes 2 basement car park space with 14 visitors spaces Building is across the road from IGA, close to Greenslopes Hospital and easy access to freeway, only 10 mins to CBD Tenancy has brand new paint work and timber vinyl plank flooring Suited for professional businesses or medical specialist, minutes to Greenslopes Private Hospital Tenancy is available now, secure it now before it is gone! Located 5 kilometres south east of Brisbane CBD. This location has started to see significant urban renewal and with the addition of a number of high density residential developments in the vicinity, this is the perfect time to establish your business in Stones Corner/Greenslopes. Multiple Tenancies Available! 395sqm + 158sqm Contact agent! From $330sqm + outgoings Newly renovated 11 storey office building Fantastic views from the tenancy Car parking included undercover, secure access Fitted out with sound proof walls and sound dampening on the ceiling Ducted air conditioning throughout Recent major foyer renovations and lift upgrade After hours security on site New 'end of trip' facilities unisex showers and secure bike racks Located on one of Brisbane’s most prominent streets Walking distance to both central station and bus facilities Please call Your Commercial to arrange an inspection. 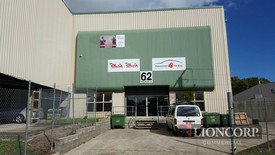 650m2 warehouse 247m2 quality office space Approx. 6.1m internal height 2 roller doors 3 phase power connection ready Ample onsite & street parking Flood free location Container set down area Acacia Ridge is less than 12 radial kilometres south of the Brisbane CBD. This location is the thriving heart of the south side’s industrial precinct and offers easy access to all the major arterials. With consistently low vacancies and tightly held properties, Acacia Ridge continues to be on the top of the list when considering a move. On offer for all office, medical, massage, legal, community service, etc users Approx. 100m2 of tasteful & refurbished building Fully repainted offices, kitchen, open plan work space & shower facility Immaculate and rare offence in heart of Upper Mt Gravatt Can accommodate up to 20 cars onsite Walking distance to Coles Village shopping centre Short stroll to all food, business service & amenities Inspect today with exclusive agent! Located only 12kms south east of the Brisbane CBD, Upper Mount Gravatt is one of the most important business centres outside of the CBD and is serviced by one of the best public transport networks in Brisbane. 78m2 mezzanine office space Air conditioned Amenities onsite Kitchenette Seventeen Mile Rocks is a suburb of Brisbane, Australia located 11 kilometres (7 mi) south west of the Brisbane CBD on the Brisbane River. The major road through the suburb is Seventeen Mile Rocks Road which links the suburb to Jindalee and the Western Freeway at the western end and Oxley at the eastern end. 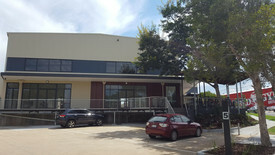 Areas from 102m2, 107m2, 165m2, 202m2, 225m2 to 731m2 single floor plate Flexible level to suit your office requirement Positioned in booming Underwood with strong commercial & retail activities Attractive fitout package on offer, tailor to suit Convenient Childcare Centre onsite to accommodate family and employees onsite Logan Road, Kingston Road, Compton Road and surrounding area encompass the Underwood business centre which is a mixed use urban development area incorporating the Underwood/Slacks Creek industrial estate as well as retail, commercial and office establishments. Retailers in Underwood include Bunnings, Big W and Woolworths as well as The Zone, which is a privately owned retail estate.